Electronic-books: Have the access to the information anytime and anywhere. Journal articles: Find the latest research results here for referencing. Dissertation and theses: Find the sources that are relevant to your research papers and make reference to a research methodology adopted in another thesis. Newspapers: Provides current affairs on a daily basis and you may trace the development of social issues. Encyclopedia: Text is revised by specialists and it covers authoritative summary information about a variety of topic. Patent: the key technology of new inventions is seldom shown in public. Therefore, patent database provides important information for studying practice technology. Standards: Normative documents or specifications that are developed by the organization and this serves as a valuable referencing for engineering field. Protocol: Content of experiments are proven and they assist researchers to design and implement the experiments. Overseas Industry reports: Provide industrial researches and overall development of a specific country, type of industries and particular companies. Impact factor: Number of cited and the ranking of academic journals. Language learning: Utilizes the NTUL collection and e-learning program is provided if you are interested in learning English, Japanese , French, German and other languages. National Competitiveness: Data is published by authority organization e.g. WEF. National basic information: Indispensable information in doing globalization researches and regional studies. Magazines: Includes digitalized magazines such as The Economist, Harvard Business Review, Time and Fortune etc. Exporting charts and graphs: A minority of databases offer a function of exporting the graphs to PowerPoint. General subjects: “Web of Science”, “SCOPUS” etc. Biological, Biomedical and Agronomy: Biological “BIOSIS Previews” ; Biomedical and Medicine “PubMed” ; Agronomy “CAB Abstracts”, “AGRICOLA” etc. Science and Technology: Physics “IOPScience” ; Chemistry “Reaxys”, “ACS”, “RSC” ; Psychology “PsycINFO” ; Electrical Engineering and Computer Science “IEEE” etc. 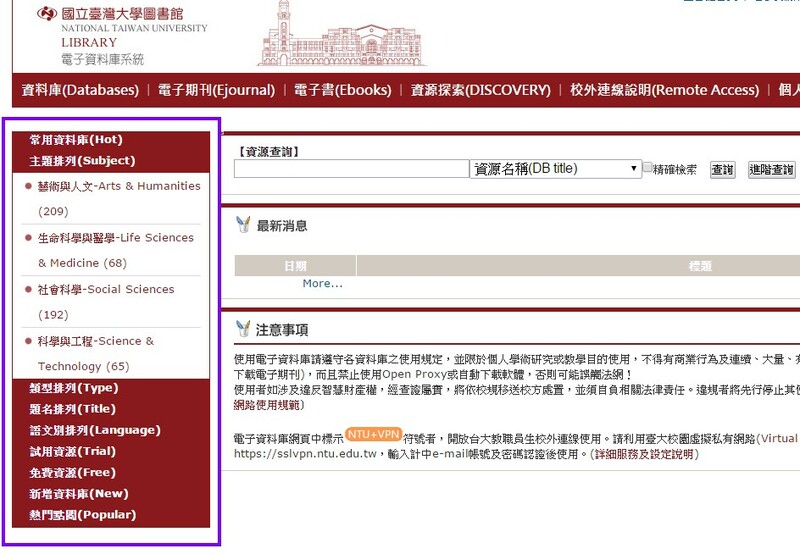 Humanities and Social Sciences: Chinese ancient books “中國基本古籍庫”, “全四庫” ; Languages and literatures “MLA”, “HUSO” ; Business administration and Finance “ABI/Inform”, “BSP”, “TEJ” ; Law “Westlaw International”, “LexisNexis” etc. 2. 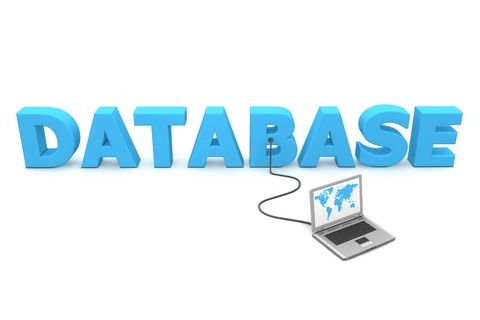 How to learn in using databases? Step2: Browse by subject, type, language or use keyword searching to find a relevant database. Step3: Click or icon near the description of database in order to connect a user guide or you can choose to participate in library instruction courses. If NTU students and staff want to use the database outside the campus via Virtual Private Network (VPN), please check whether it has the icon. 4. How to organize references? You can use bibliographical management software! It allows library users to create a library of references. Also, it assists you to organize your bibliographic references and retrieve citations. There is a lot of bibliographical management software and NTUL has subscribed “EndNote”. You may use free bibliographical management software, e.g. Mendeley. This entry was posted in English Articles, Getting Started / 資源指引, 客座寫手專欄, 綜合型館藏資源 and tagged database, 資料庫. Bookmark the permalink.